Considering the latest findings, scientists have explored another distant galaxy, having not just one, or two, but three Supermassive black holes at its origin. The study sheds some light on the developments happening in and across this galaxy, and indicates than these black holes are far more common than it was expected earlier. 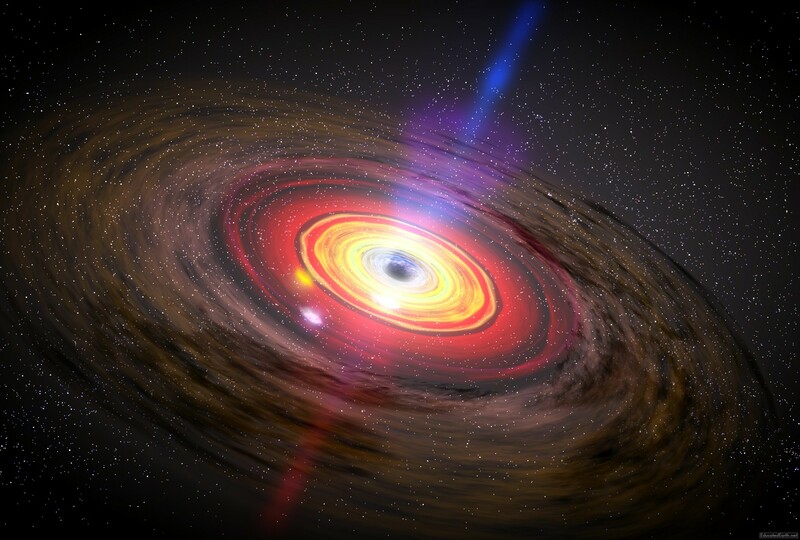 Scientists have also revealed another study that shows how such giant-sized black holes can be discovered. Generally, such black holes are millions to billions times the mass of the sun. Roger Deane is an astrophysicist at the University of Cape Town in South Africa, along with his colleagues discovered a black hole trio. This discovery happened to be at the time of some another research study on galaxies that emit a huge amount of radio light. Although, Deane and his team were already conscious of the galaxy consisting of two black holes. Both these black holes were initially illumined by these scientists around three years back. Surprising part out of their study was discovering one of those black holes as not one, but again two black holes. They were close to each other by 50 light-years apart. “I’m quite excited to see that our system has turned out be a triple. We spent many years looking at many sources, and this was the only pair we found”, said Hai Fu, an astrophysicist at the University of Iowa in Iowa City. He was part of Roger Deane’s team, a force behind the discovery of the three Supermassive black holes. According to other researchers and scientists, these compact binary Supermassive black holes have a strong potential to give birth to gravitational waves. You clearly cannot write in English. Please get an editor. Your stories have interesting content but they are too painful to read.